In 1989, we decided to add a small dog to our household, feeling that would compliment the Bouviers well. 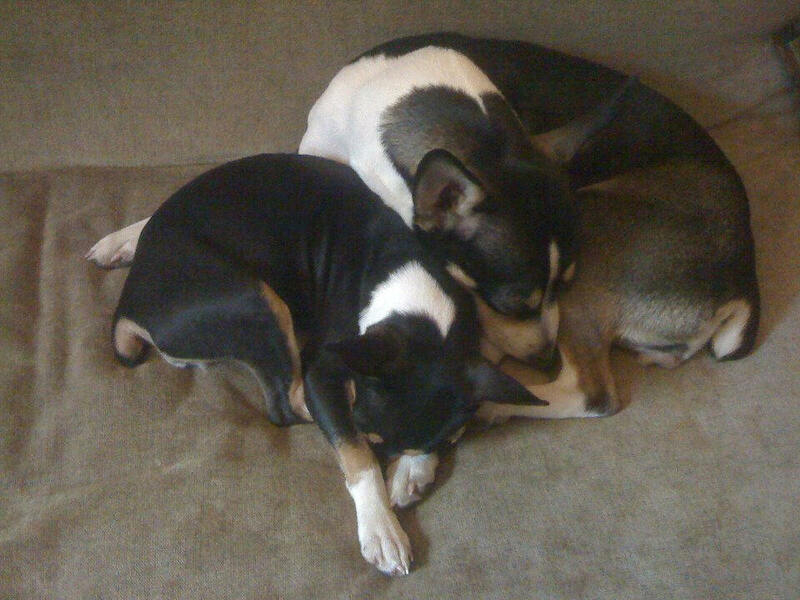 After some discussion we settled on the Rat Terriers. I liked the fact that they originated as working farm dogs, much like the Bouviers. We find they have the perfect combination of toughness and sweetness. Our first girl - Lazer - was a great dog. The perfect companion, she traveled well. 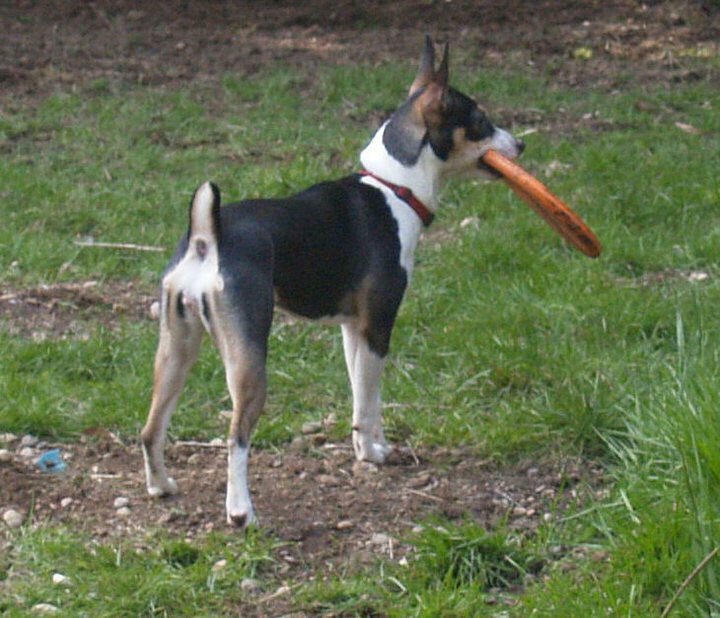 We soon found ourselves involved in Rat Terrier Rescue, and spent over a dozen years as the RT Breed Rep for Seattle Purebred Dog Rescue, as well as working with several other groups. Lazer died of cancer in 2003. 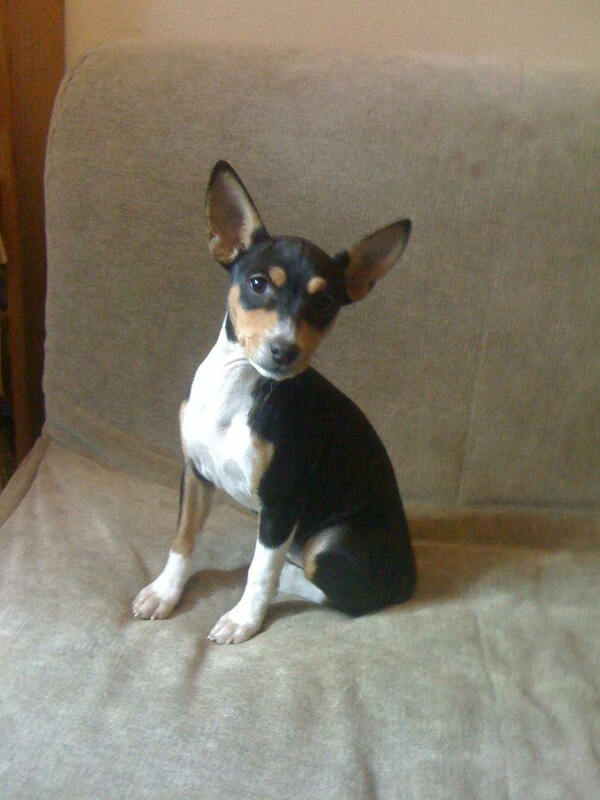 One day in 1996 we were called to the Kent Animal Shelter to evaluate and possibly pick up a stray Rat Terrier. This girl was well-known to the Animal Control officers as they had been trying to catch her for some time. Her coat was grown out with the thickest ruff I have ever seen on a Rat Terrier (in defense of the cold). She was extremely thin - nothing but skin & bones. She immediately took to Patrick, and we dubbed her Bones. It took us over 4 months to put enough weight on her to take her in for her spay operation, and for us to feel she was ready to move on to her permanent home. We were doing Bouvier rescue at the same time, and when people would come to see our foster Bouviers, Bones was calm, and while not overly friendly, she was not aggressive. However, as soon as people starting stopping by to see her - that changed. She would snarl, bark and generally be a bad dog, then go curl up under Pat's desk. She lived with us for many years until she passed in the summer of 2010. She was at least 15, but could have been older. Skippin CJ's Kysmilil Ratsass - aka "Sassy"